I recently had the opportunity to read two excellent books on the F-104G Starfighter. Both were characterised by spare but readable prose and (more importantly) fantastic photographs of the subject. Well, what AirDOC has done for the Luftwaffe, Nicola Malizia and IBN Editore has done for the Aeronuatica Militare. This beautiful volume is an excellent all round work on the F-104, pulling no punches but also providing access to hundreds of full colour photos of the F-104G, S and ASA. 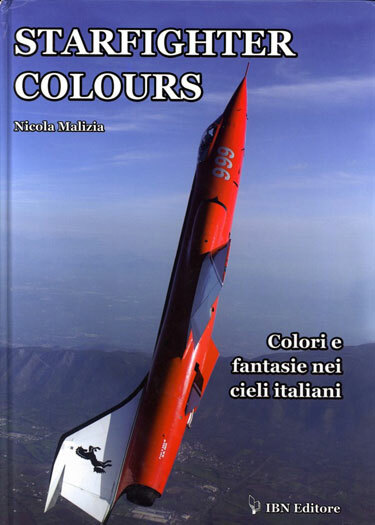 It is not for nothing that it is subtitled “Colours and Fantasies in Italian Skies”. In the style of AirDOC the text of this book is fully bi-lingual so that whilst I had to seek a translation for the title, the rest is perfectly accessible to the Italian-challenged reader. 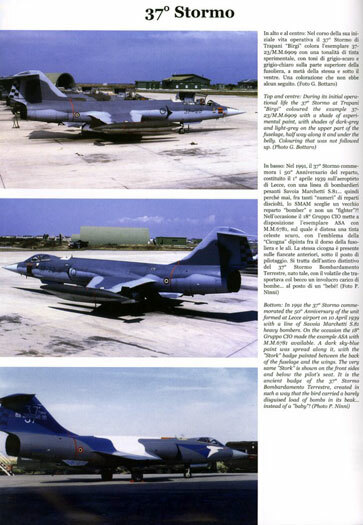 The book is organised with its text first providing many facts on the F-104 in Italian service. The first five sections cover the Genesis of the F-104, the F-104G in Italian service, the F-104S in Italian service, the F-104ASA and finally the ASA-M, a type which owes its existence to the much delayed EF2000. It is refreshing to read a text that pulls no punches on assessing the unsuitability of the F-104G for Italian fighter-bomber use to the praise heaped on the ASA and ASA-M as interceptors charged with defending Italian airspace. Other reference sections include Commanding Officers of all Aeronautica Militare F-104 units, production serial numbers, accident records, notes on camouflage (great for modellers) and finally technical data. That covers the first 60 odd pages. The remaining 164 pages are the highlight. Large full colour photos of the Italian F-104 in its various colours, markings, configurations and special schemes abound. The format is usually two photos to a page, with some pages containing three or more. All are informatively captioned in both Italian and English. Without a doubt there will be little more that a modeller will need as a reference to the Italian F-104. Thanks to IBN Editore for the review sample.